Ron MacInnis | Our World…Welcome. And I Hope You Enjoy the Trip! With grandson, Olivier and the family’s pet starling, one of many animals who lived with us. First a question: do you have any idea what it is like to be my age? (70!) I mean really? Well one of the great things about it is that you can be up front and open and say just about anything you want…and get away with it. That comes as good news for me…and maybe for you (or someone you know). For there are many important things about life that people just don’t talk about. Well, I do. Making the best of Life: For having learned a great deal from the readings and ramblings of a lifetime and having met some of the most interesting people imaginable in my careers as broadcaster, writer, innkeeper and community developer (and taken notes all the way! ), I have more than a few thoughts I would like to share frankly and openly about this situation we call “life”…and, if I may be so bold, how to make the best of it. So if you are still seeking a few personal answers (or know someone who is), I hope you will explore, for I have spent a lifetime in the study of where and how we find happiness and peace of mind in a troubled world. And for any number of reasons, I feel obliged to share what I learned. Hear what others say about the book. Read why I wrote it in a sample chapter. Or go directly to a full description. 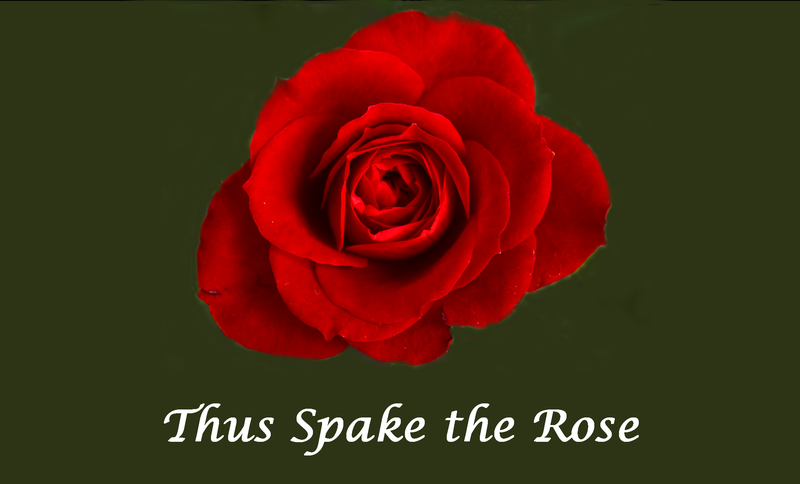 Thus Spake the Rose: A brief verse about a deep-rooted encounter in a garden with a dying rose as she speaks of her unassailable belief in the beauty of the natural world around her…and why and how she shares it with her children. A contemplative way of stopping and looking deeply at a world that otherwise seems stuck in fast forward. Things I learned from a Poodle: For animal lovers: a celebration of the lessons that dogs and other animals can teach us…if we only stop to listen. Based on a little dog that was as my shadow for fourteen years. 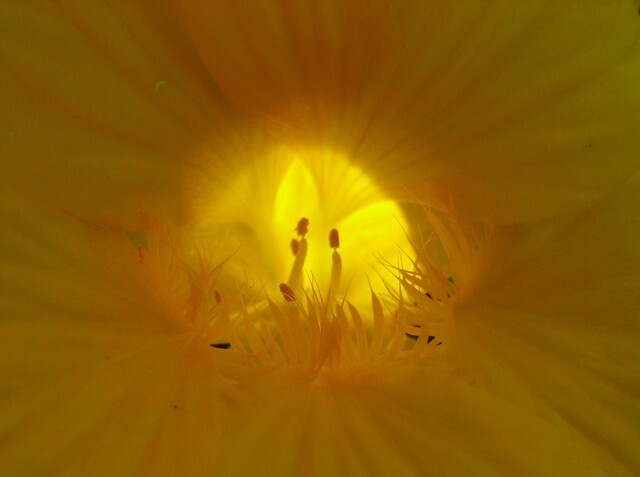 In Praise of Yellow: A celebration, in photos, of a single color in the wide and wondrous world of flowers. Why yellow? Why not? Lucky You: A single page that sums up the reality and the privilege of your life and your chances of ever having been born…and where you might go from here. A bit of a mind bender and something that few people think about. It will take you ten seconds to read it, and a lifetime to live it if you take it seriously. But what a bright and proven true guiding light! Here and now as I build this site…my heart overflows with gratitude, for my life was a fine and wondrous journey, filled (for the most part, anyway) with adventure, laughter and the love of family and friends…and a great deal of learning. And as with any gift, all that I learned takes on a deeper meaning when it is shared. And so…here I stand before you. May this site touch your heart and may many blessings go with you as you explore these pages and travel the road of your life. And may the great spirit of love guide your every action, for 70 years of living have taught me that there is no better travelling companion.